The latest data from the Australian Bureau of Statistics showed a marked drop in monthly home approvals in NSW. 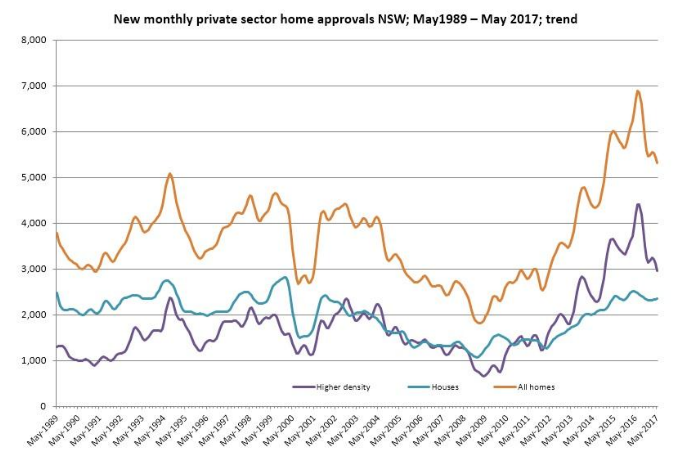 Home approvals in NSW reportedly dropped from 6,855 in July 2016 to 5,308 in May 2017 in trend terms. The apartment market contributed the most to the trend, having fallen by 33% since July last year. Urban Taskforce CEO Chris Johnson said the drop had been fairly steady over the last 10 months, indicating a continuous trend. "As the NSW Government has stressed that housing supply is the key to affordability, the downward trend is of concern," he said. “Apartment approvals in NSW were 4,412 in July 2016 in trend terms but the recently released May 2017 figures have dropped to 2,965. Mr Johnson said the slow-down in high density approvals may be influenced by new levies on foreign investors contained in the NSW Budget as well as the high affordable housing levies proposed by many councils. "The combination of levies for affordable housing and for infrastructure costs is clearly impacting on the feasibility of development particularly for apartments. 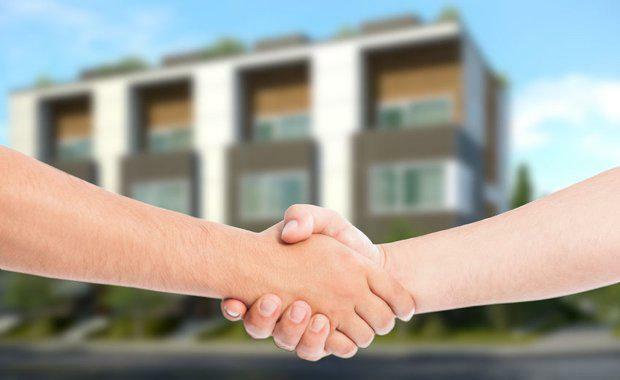 "It appears that levies from local and state governments are only targeted at the apartment market and this is now having an effect," he said. “We are also concerned that the detached housing market may be affected by the proposed lifting of the cap on infrastructure levies announced by the NSW Government and the change to potential densities in the draft North West Land Use and Infrastructure Strategy. "The government’s announcement of a Housing Delivery Unit in the Department of Planning and Environment and of a Housing Coordination role is expected by industry groups to help unlock some current blockages in the planning system.